How many spinal decompression sessions will be needed, what is the cost, and are the treatments painful? The number of sessions needed and your specific treatment plan will be determined by the doctor after your examination. Based on current research, the best results have been achieved utilizing 7-20 sessions over a 6 to 8 week period. 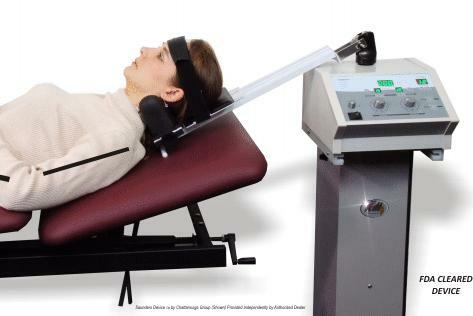 What type of decompression system is used, and are the doctors certified in spinal decompression therapy? After a significant amount of research, our office chose what we believe to be the most sophisticated, technologically advanced, state-of-the-art decompression system in the world, the Kennedy Decompression Table. We also selected this decompression system due to its ability to treat discs in both the neck and the low back. In regard to clinical skills, Dr. Smith completed the Kennedy Decompression Technique course work and passed the qualifying examination to achieve the status of "Certified Practitioner" in spinal decompression therapy. Anyone who has back pain or neck pain caused in whole or in part by a damaged disc may be helped by spinal decompression therapy. 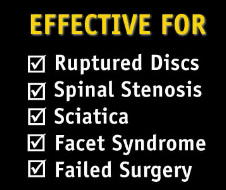 These conditions include herniated, protruding or bulging discs, spinal stenosis, sciatica or even failed surgery. By Bill Reddy, LAc, Dipl. Ac. Tai chi, a 2,000-year-old Chinese fitness regimen with origins in the martial arts, features gentle movements similar to yoga and meditation. Research suggests it is effective in relieving stress, increasing flexibility and building strength. So, have you tried tai chi? Beginning in the early 1970s, when the "bamboo curtain" was lifted, a few jewels of Chinese culture began to trickle into the West. One specific example of China's best-kept secrets is the use of acupuncture and tai chi to combat stress. Stress can be simply defined as "what you feel when life's demands exceed your ability to meet those demands." A vast majority of people living in populated urban areas can identify with the feeling of being overwhelmed. Job, school, family and social engagements are all competing for their place on their collective schedules. Even though most people have little control over the stressors in their lives, they can actively change how they respond to them through the practice of tai chi or by getting acupuncture treatment. The Chinese view physical manifestation of stress as a stagnation or blockage of internal energy, what they call qi (pronounced "chee"). Signs and symptoms of stress can include: tension headaches, sleep disturbances, hair loss, fatigue, hypertension, heart palpitations, cold hands and feet, and immune-system suppression, to name a few. Having a compromised immune system can present itself with symptoms such as frequent colds, flu, bronchitis or sinusitis, and in extreme cases, autoimmune disorders such as lupus and Crohn's disease. Both acupuncture and tai chi are ways to release blockages and promote the free flow of this energy. Scientists are still trying to fully understand the mechanisms of acupuncture, the millennia-old method of inserting fine hair-like needles into the body to promote health and well-being. It has a strong scientific basis and has been featured in more than 11,000 journal articles available through the National Institutes of Health database, PubMed, studying acupuncture through double-blind, placebo-controlled clinical trials. According to a Yale Medical School study involving 55 healthy volunteers, acupuncture was shown to significantly reduce stress, as measured by blood pressure, anxiety, heart rate and electrodermal activity. Medical doctors are interested in using this modality of treatment to relax patients before surgical procedures. Additionally, in a double-blind, placebo-controlled study published in 1998, researchers demonstrated that acupuncture was 85.7 percent effective at treating patients with generalized anxiety disorder with no negative side effects. In contrast, a common anti-anxiety drug such as Klonopin has the following side effects: clumsiness, dizziness, drowsiness, slurred speech, abdominal/stomach cramps, lack of sexual desire, constipation, diarrhea, dry mouth, headache, muscle spasms, nausea or vomiting, trembling and fatigue, to name a few. The major difference between Western (allopathic) medicine and Eastern medicine is that Western medicine tends to treat the symptoms (migraines, arthritis pain, allergies), whereas traditional Chinese medicine treats the root cause, leading to the symptom(s) disappearing. Some experts describe tai chi as "acupuncture without needles." Webster's collegiate dictionary defines tai chi as "an ancient Chinese discipline of meditative movements practiced as a system of exercise," but this definition completely ignores the practice's ability to balance a person's qi. Tai chi literally translates into English as "supreme ultimate," which gives a sense of how the Chinese view this art form. Not only do the slow twisting and untwisting movements of tai chi massage a practitioner's internal organs, increasing blood circulation and optimizing spinal-nerve transmission, but also they reduce key "stress chemicals" in the body. Seniors who practice tai chi regularly have a significantly lower chance of falls compared to their peers due to improved balance. Tai chi also benefits their cardiovascular and respiratory health and immune function, according to a 2004 article published in the American Journal of Physical Medicine Rehabilitation. Originally, tai chi chuan (where "chuan" means "fist" or "boxing") was developed to train the Chinese emperor's troops for battlefield warfare. There are a large number of styles of tai chi named after the family who developed them (Yang, Wu, Sun Chen), with the most common feature being slow, fluid, dance-like movements. A few styles incorporate explosive actions along with the slow movements. In a recent interview, Dr. Lixing Lao, director of the University of Maryland's complementary and integrative medicine program and tai chi instructor, said "Not only do I see profound improvement of my Tai Qi students' perception of stress, but also I keep my own stress levels at bay, despite my harried schedule of teaching, researching, treating patients and publishing." A combination of acupuncture and tai chi practice is synergistic and has the greatest effect on reducing stress and should be seriously considered in any holistic stress management program. Pretend you're holding a beach ball, with your left hand on top of it and right hand underneath it. Take a small side step with your left foot (point your toes left). As you do this, sweep your left arm upward (palm out) and your right arm by your right hip, palm facing down. Return to the starting position by rotating your left foot so your toes point forward again. Bring your left foot back under you. Allow your arms to draw inward, and end with your right hand on top of the imaginary ball. Repeat on the other side. Take a small step with your right foot. Raise your right arm and lower your left. Reverse the movements to return to the original starting position (left hand on top of the beach ball). Complete this cycle at least twice in a fluid motion. Stand with your knees bent slightly. Step forward with your left foot and raise both hands in front of your face (palms out). Your left hand should be farther from your body than the right one. Return to the starting position by reversing the move and bringing your left foot back while lowering your hands. Step forward with your right foot, again raising your hands. Your right hand should be in front of the left. Repeat the progression three or four times. Position a sturdy chair on your left. Stand with your feet hip-width apart, your right arm slightly bent at the elbow, palm facing down. Use the chair for support, if necessary. Shift your weight to the left leg, and raise your right hand and knee in one motion. Hold this position for one second. Lower your hand and knee to return to the starting position. Repeat steps 1 and 2. Move the chair to your right side, and repeat steps 1 and 2 (holding the chair with your right hand and lifting and lowering your left hand and leg). Repeat the progression three or four times on each side. Bill Reddy was an aerospace engineer before becoming a licensed acupuncturist with practices in Annandale and Alexandria, Va. He is a board member of the American Association of Acupuncture and Oriental Medicine. Happy Friday! With it being "Back to School" time again, we want to let you know that heavy, overstuffed and improperly worn backpacks can be a cause of spinal strain and can lead to poor posture, neck pain, back pain and even headaches. To avoid injury, backpacks should not exceed 15-20% of a child's body weight. Shoulder straps should be worn over both shoulders and adjusted so that the bulk of the weight of the pack rests in the mid to low back. If you are not sure how to correctly fit a backpack to your child, our office will be happy to demonstrate the proper way to fit and adjust the backpack to your child(ren) at no charge. We will even weigh your child and packed backpack separately to determine if the backpack is too heavy and possibly causing injury. Also, if you or a loved one have a condition in which you are not certain if chiropractic care can help, we can set up a FREE consultation with Dr. Trek to discuss your treatment options. Please call 466-9945 to schedule your consultation and be sure to bring any x-rays or MRIs with you in order for Dr. Trek to better understand your problem.